An eruption seen over the limb in the extreme-ultraviolet emission line of Oxygen V at 630 Angstroms. 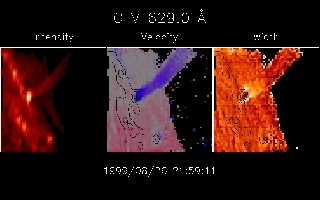 This CDS image shows material streaming back at high velocity onto the disk after the eruption. The left image shows intensity, while the middle and right show the Doppler velocity and width respectively. The blue color of the middle image represents material moving at greater than 200 kilometers per second toward the Sun. 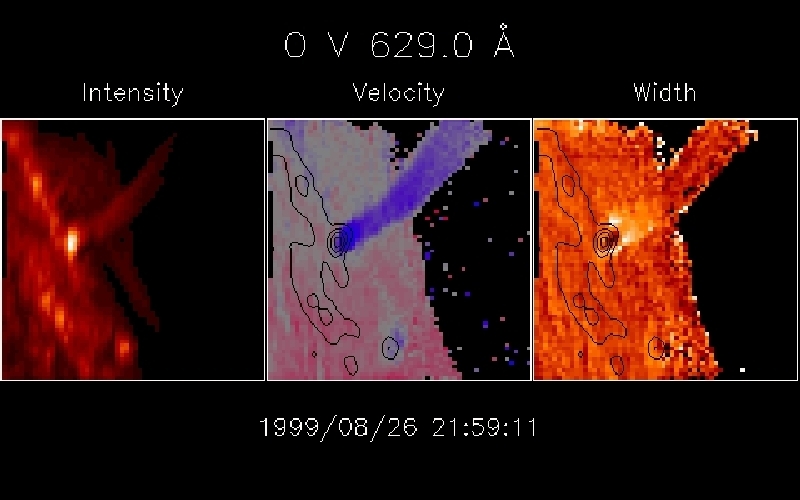 In the right image, the unresolved motions represented by the Doppler width reach as high as 300 kilometers per second.